[Updated] Cash Shop Update for November 1 | Dexless, Maplestory Guides and More! Discussion in 'Maple Updates' started by Nexon, Nov 1, 2017. NOTE: Due to Daylight Saving Time in North America, the sale times may be shifted forward by one hour, beginning at 1:00 AM PDT on the sale start date and ending at 11:59 PM PST on the listed sale end date. 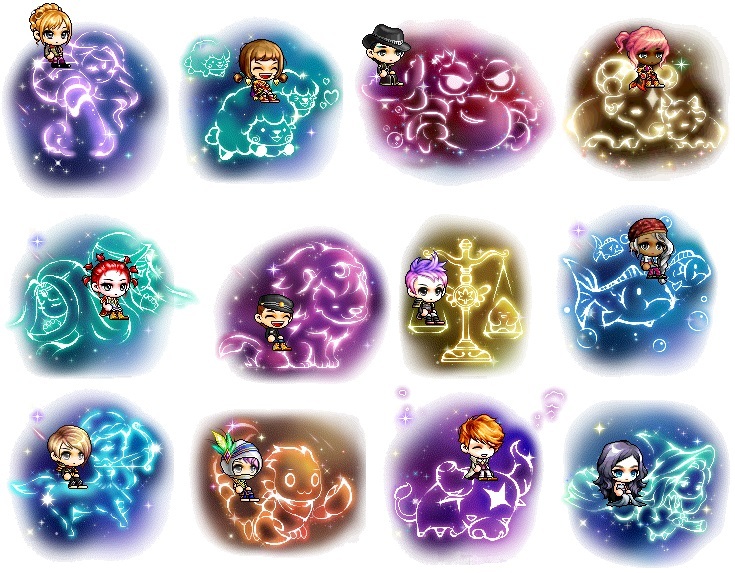 [Updated November 1] These items will be available after the maintenance on November 2. November 1 to November 7 in the Special Promotions > Limited Time category in non-Reboot worlds only. Are you ready to try out a different job, but you don’t want to have to spend a long time leveling up your character? Pre-Leveled Character Cards are the answer! You can purchase a card as long as you already have a character on your account at the same level as the card you are buying. Choose from Lv. 50, Lv. 100, or Lv. 150 character cards. When used, the character card will also provide your new character with some mesos and items to match its level! The Lv. 100 and Lv. 150 character cards also include a 30-day Pendant of the Spirit. Please note that the following jobs are not available: Hayato, Kanna, Cygnus Knights, Xenon, Shade, Zero, Beast Tamer, Kinesis, and Blaster. Click here to learn more about Character Cards. October 25 to November 7 in the Special Promotions > New Arrivals category in both Reboot and non-Reboot worlds. 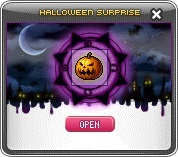 Each Halloween Surprise Style Box holds a random permanent equip with a Halloween theme! There are 100 different permanent items available! In non-Reboot worlds, you can trade these style box items with other players through the Cash Item Trade window, if you haven’t equipped them. Right-click on a character to see the menu. Check out some of the amazing items you can get from the Halloween Surprise Style Box! Cat Hood, Feline Blue Sleeves, Cat Knee Socks, Black Cat Plush, Vellum Mask, Purple Dinosaur Hat, Purple Dinosaur Overall, Purple Dinosaur Gloves, Purple Dinosaur Shoes, Dinofrog Hat, Dinofrog Outfit, Dinofrog Gloves, Dinofrog Shoes, Pirate Captain's Hat, No Biting!, and Commander Captain. October 25 to November 7 in the Special Promotions > Limited Time category in non-Reboot worlds only. Halloween is almost here! Open a Halloween Surprise Box to receive one random Cash item. The bags contain items such as cubes, scrolls, Gachapon Tickets, pets, and more. October 25 to November 7 in the Appearance category in both Reboot and non-Reboot worlds. Check out the Male Hairstyles available now: Count Dracula Hair (NEW! ), Pastel Goth Hair (NEW! ), Hurricane Hair, Maha Hair, Eckhart Hair, and Midnight Hair. Check out the Female Hairstyles available now: Damien Hair (NEW! ), Pastel Goth Hair (NEW! ), Sugar Hair, Blow Dry Hair, Straight Hair, and Dip Dyed Hair. Check out the Male Face Styles available now: Daring Dracula Face (NEW! ), Make-up Master Face (NEW! ), Compassionate Face, Innocent Face, Hoi Poi Face, and Almond Face. Check out the Female Face Styles available now: Daring Dracula Face (NEW! ), Grudge Face (NEW! ), Harin Face, Colorful Face, Big Lady Face, and Made-up Face. Take home this spooky little Vampire Cat pet! It comes with an equip to wear, pet food to eat, a Pet Name Tag, and some useful pet skills and scrolls. October 25 to November 7 in the Special Promotions > Limited Time category in Reboot world only. Take home this spooky little Vampire Cat pet, and let this little buddy join you on your adventures in Reboot World! October 18 to November 7 in the Special Promotions > Limited Time category in both Reboot and non-Reboot worlds. Dress up your pet in time for Halloween! For a limited time, these pet equips are on sale – and permanent! Phantom is embracing his inner vampire, and now you can too! Equip all of these permanent items for a spooky effect! These permanent equip items will make you look like the most beautiful ghostly bride!